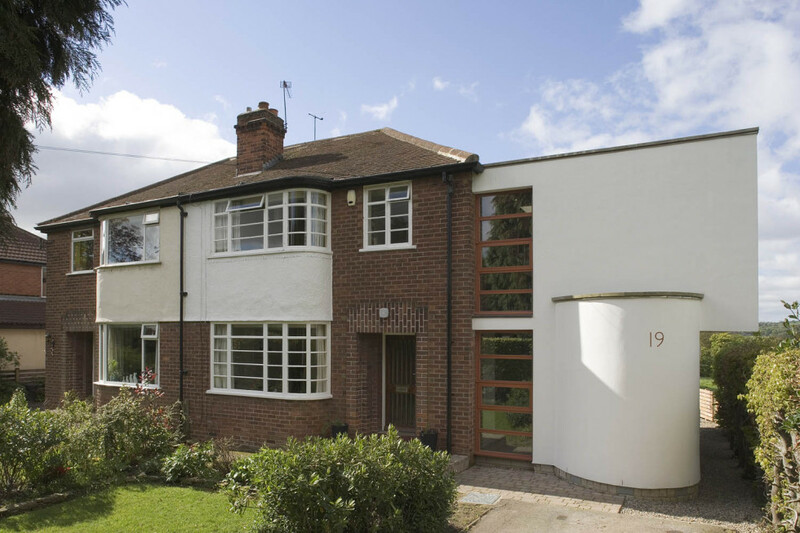 Rather than move, the client wanted to extend their 1940s semi-detached to include a family room and graphic design office. 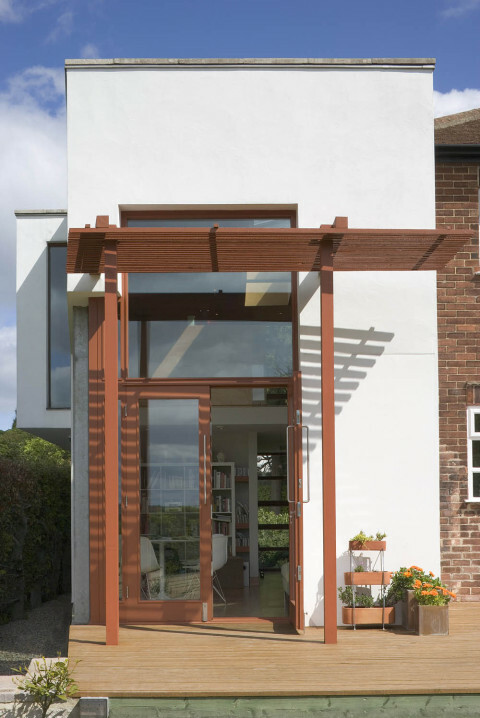 The new extension orientates the double-height family room to views to the south and large glazed openings make connections with the garden. 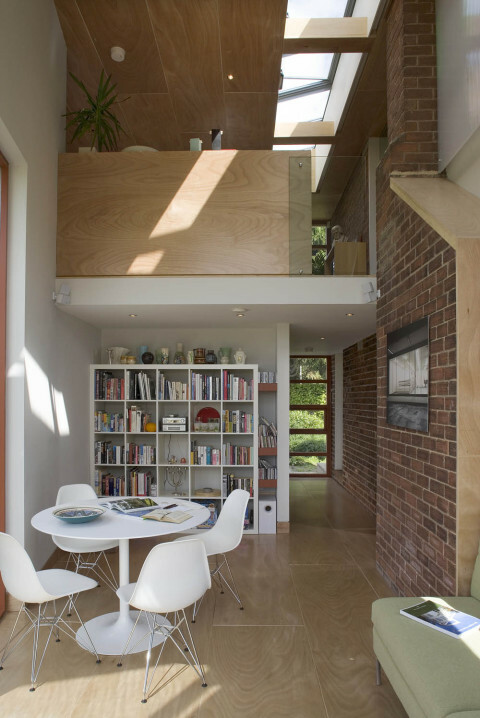 Daylight washes down the existing external wall that is now enveloped into the house through a continuous roof light. A balcony overlooks the double-height space from the studio at first floor. 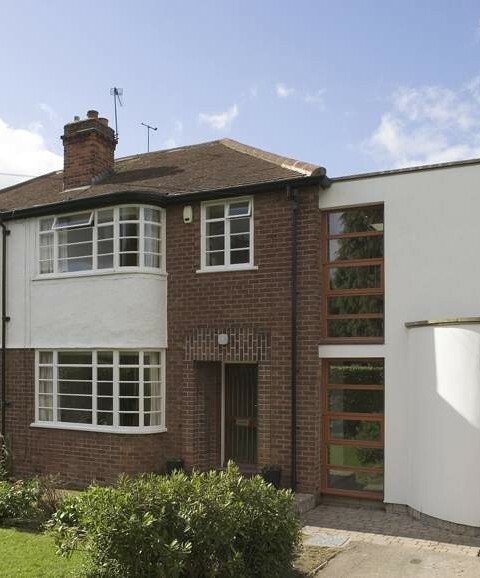 The materials are predominantly glass, render and plywood, all simply detailed.